CANADIAN DEFENCE MATTERS: THE FUTURE OF CANADIAN SUBMARINES, WILL WE LEARN FROM EXPERIENCE? THE FUTURE OF CANADIAN SUBMARINES, WILL WE LEARN FROM EXPERIENCE? The suggestion has been made, in a number of quarters, that the Royal Canadian Navy should divest itself of its Victoria class submarines. It is important to keep this recommendation in context. Major combat units of the RCN currently consist of 12 Halifax class frigates and 4 Victoria class submarines. All these vessels were originally constructed in the early 1990’s and, although having been progressively updated, are all essentially the same age. In other words, if the Canadian Navy were to decide to retire its submarine force it would be divesting itself of one quarter of its combat force, Before taking this large step, it might be worth finding out how and why Canada came to have a submarine force in the first place, and why we might need such a force in the future. Canada’s current submarine force is the successor to a three ship force of Oberon class subs purchased in the 1960’s. Those ships, in turn, were purchased to replace a capability provided by the Royal Navy. 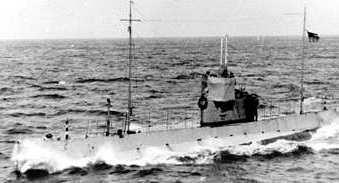 Canada had no submarine arm before the purchase of those Oberons, but were able to utilize 3 Royal Navy A class submarines of the 6th Submarine Division, which arrived in 1954, towards which Canada contributed a substantial amount in operating and maintenance costs. These vessels were used mainly in an ASW training role and mixed RN and Royal Canadian Navy (RCN) crews enabled the latter service to cultivate a core of trained submariners for the day when Canada could field its own flotilla. 6th Submarine Division was disbanded in 1967 and the need was seen for Canada to provide its own submarines for ASW training. Three Oberon class submarine were built for Canada at HM Dockyard in Chatham in England with modifications to meet Canadian requirements. The first of these boats became operational in 1968. During the 1980’s, all three of the RCN Oberon subs went through SOUP (Submarine Operational Update Program) refits which updated sonar and the torpedoes carried. Two stern-facing ‘short’ torpedo tubes that were no longer needed were removed. Sonar and fire control equipment were updated. The original Mark 37 torpedoes were replaced with faster, deeper operating, and more advanced control Mark 48 torpedoes which, it can be argued, made the Oberon submarines the most potent weapon system operated by the Canadian Navy. It certainly improved the moral of crews whose ships could now participate in anti-submarine barrier patrols and be counted as NATO assets. It was this updated capability, the value of which the RCN had come to appreciate, which the current Victoria/Upholder class submarines were purchase to replace. The trials of these ships in Canadian service are well known, what is less celebrated is the success the Navy has had in bringing and keeping them at there current state of effectiveness. Submarines permit a graduated and determined response to military developments at sea, in both domestic and international spheres. In this regard, they act as an unparalleled ‘force multiplier’ for the operating nation, and a significant planning and resource allocation challenge for a potential enemy – in short, a very real deterrent at the strategic, operational, and tactical levels. Their versatility, while not as extensive as surface platforms, is considerable, and, in contrast to a surface force, they are able to operate for several weeks without logistics support and with relative impunity in an area controlled by opposing surface and air forces. They offer advanced training opportunities for forces charged with the ASW mission, and their possession requires staff experienced in the command and control of submarine operations. This gives other nations the confidence to assign control of their submarines, including nuclear submarines, to Canada for operations. Loss of confidence in this regard would seriously compromise Canadian ability to command complex multi-national fleets at sea. In the broadest sense, the balance resulting from the inclusion of submarines in the Canadian Forces Order of Battle affords Canada simultaneous vertical coverage of the water column, and horizontal coverage of the maritime warfare continuum. Only fleets that include the right mix of assets – that is, balanced fleets – are able to achieve this. Although the number of submarines in service globally has dropped dramatically from almost 900 at the peak of the Cold War, today some 40 nations operate about 400 submarines. Every one of these nations understands that the submarine, with its superior combat power and freedom of action, is a fundamental component of the sea power paradigm. Each of these nations implicitly understands that possession of a submarine capability confers an influence out of proportion to initial investment and ‘year-over-year’ operating and maintenance expense. It becomes clear that if the Canadian Navy were to decide to retire its submarine force it would be loosing more then just one quarter of its combat capability, it would be loosing its credibility as a modern naval force. Martin Shadwick, a strategic studies professor at York University in Toronto, has been quoted as saying that it would be difficult for the Navy to convince the Canadian government to embark on a program to buy new submarines. The cost, he noted, would be extremely high and submarines, because of the past issues with the Victoria class, are viewed with some skepticism by the Canadian public. The fact that submarines are a “tough sell” politically does not mean that the Navy, and the government, should not plan for the continued presence of an independent Canadian submarine force. Canadians can maintain “the hope that they will prove entirely unnecessary” but they must understand that if they should become necessary and we do not have such a force that there will be consequences.